The lead-up to one of President-elect Trump’s thorniest Cabinet selections — secretary of State — continues Tuesday. Meetings are scheduled at Trump Tower with GOP Sen. Bob Corker of Tennessee, chairman of the Senate Foreign Relations Committee and 2012 Republican presidential nominee Mitt Romney. Trump has already interviewed Romney, but several Trump backers including campaign manager Kellyanne Conway have forcefully questioned whether Romney should get the job after his intense criticism of Trump during the campaign. Also, another prominent Trump backer, ex-New York City mayor Rudy Giuliani, has made it clear he wants the State slot. The casket containing the cremated remains of Fidel Castro lies in state for a second day Tuesday as mourning for the longtime Cuban dictator continues in the capital, Havana.Thousands were expected to pay homage and also sign "a solemn oath" to carry on the revolution that propelled Castro to power. 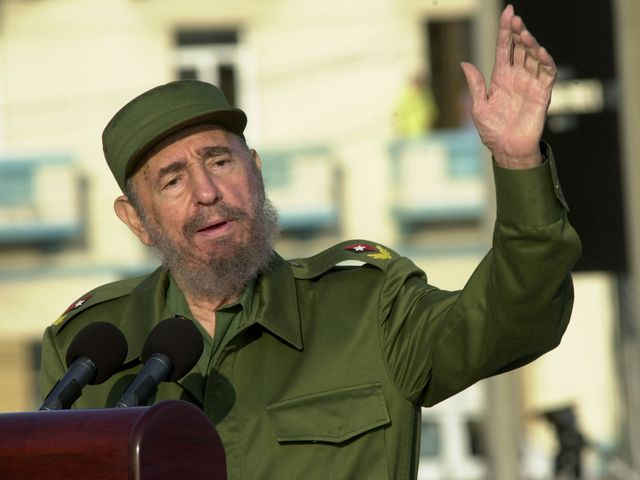 Later in the day, the casket is due to begin a 600-mile trek around the Caribbean nation before burial Sunday in Santiago, a city in the east of the island where Castro began his ascension in 1953. More disruptions are in store for Lufthansa customers Tuesday as the German carrier faces a new strike from its disgruntled pilots group. The Cockpit union that represents the airline’s pilots said it would strike on Tuesday and Wednesday, renewing a four-day labor action that had just wound down on Sunday. The union, which is seeking retroactive pay raises, said pilots would not fly short-haul flights on Tuesday and would add long-haul routes to the mix on Wednesday. In response, Lufthansa on Monday scrapped a total of 1,700 flights over the two days, affecting around 180,000 passengers. If you’re tired of the consumerism of the holiday-shopping frenzy, take Tuesday to give back and make a donation to your favorite charity. Started in 2012, #GivingTuesday is an effort to promote donations of money and time after the biggest shopping weekend of the year.Whether it's donating cash, giving blood, or volunteering at a soup kitchen, Giving Tuesday allows people to get back to the roots of generosity during the holiday season. If you do decide to give, read this guide to making smart donations. Johnthony Walker , the driver in a Chattanooga school bus crash that killed six children, will appear in court Tuesday in Hamilton County, Tenn., in hopes of delaying a preliminary hearing until Dec. 15. Walker, 24, faces six counts of vehicular homicide in what records reveal to be his second school bus crash this year. The records released Friday also show students and administrators had raised concerns about Walker’s driving. His attorney, Amanda Dunn, said she expects him to plead not guilty if indicted.